We usually think we don’t have enough of it, as if it would suddenly run out. And sometimes time seems to stand still. 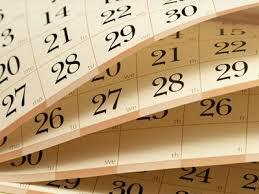 We set ourselves appointments in time, deadlines in time, and sometimes allow ourselves a timeout. The whole world has agreed to this arbitrary standard, as a means of segmenting our finite human sojourn on this planet. We have divided it up into a certain amount of months, weeks, days, and hours and we agree to allow it to reign supreme over all our activities. 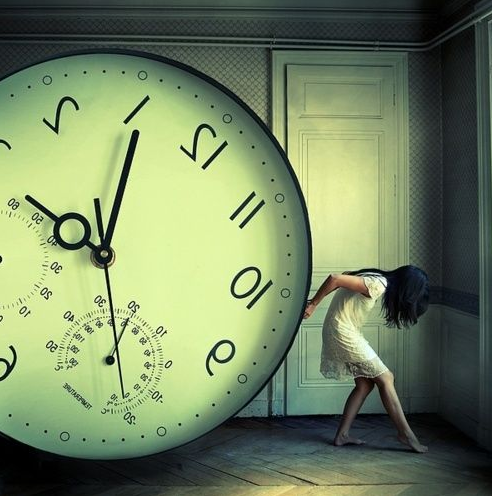 Time is a cruel master – it never bends to our needs and we are forever chasing after it. But then you arrive in the Balkans. Having lived in southern Europe for a long time, I learned a long time ago that time gets fuzzy down here. In France, le quart d’heure d’honneur allows people to be up to 15 minutes late for any appointment. In Italy, it used to be common for people to set a time to meet and use it as a reminder to start getting ready at that time. So an hour or two, one way or the other, was acceptable. In Belgrade, however, the rules have slipped beyond fuzzy into an area of science studied by Heisenberg and Einstein. People can be late for appointments – or not. It is not predictable. Many times I have been called for a cancellation of an appointment 10 minutes beforehand. And if it starts raining, everything gets called off anyway. No need to give notice. But there is another phenomenon that deserves attention. It is how we think of time here. My personal research and experience here has shown me a few different points that I would share with you. NOTE: If you order a taxi, they ALWAYS say they will be there in two minutes. This means that they heard you and are sending someone. In a random amount of minutes. In the same way, if the person says he or she will be there in 10 minutes, the meaning is usually: “I am still on my way and will arrive late.” 10 minutes can extend to a half an hour or more, depending on traffic, the weather, or the guy you run into on the street and takes you for a coffee. Half an hour, interestingly, can actually mean 30 minutes. It does not always happen, but it seems that we are better able in Belgrade to estimate longer amounts of time. However, half an hour can also extend much further, leading to the phone call after 28 minutes postponing until next Tuesday. Finally, another time-anomaly crops up when you order something for delivery. No delivery company likes to be pinned down by a specific time – if you order something, you will always get a “window” of time. From 8 am to 1 pm, for example. Or from 1 pm to 8 pm. This means that it probably would have been easier to get yourself out of your pajamas and go get it yourself. In the meantime, you sit at home, waiting… any minute now… unable to plan much else in the day. At one point, when we ordered a new mattress from one company here (no names, but it rhymes with Wimpo). It was the end of December, and they said they would deliver “after Christmas”. That basically describes an infinite span of days beginning from January 8th until the end of recorded time. Trying to get them to be more specific, they only repeated themselves: after Christmas. That was in 2012. We are still waiting. This entry was posted in Essays and tagged appointments, Balkans, Belgrade, Chris Farmer, concept, France, Italy, late, minutes, on time, Serbia, taxi, The Standard Deviation, time. Bookmark the permalink. Those are some interesting observations there. So many of us find it so hard to keep a promise with time. One someone tells me they are five minutes away, usually they turn up in around ten to to fifteen minutes. When someone says they will call me at a certain time, they tend to call half an hour after that or maybe never at all. I’m usually one who plans my days, setting out myself tasks and things I need to do. But I make sure I have no expectations…because you never know what time, life, will throw at you. Thanks Mabel. I suppose it is good to know that fuzzy time is pretty much universal!